What are the best sites for your property management job search? Learn where to find residential and commercial property manager jobs online. SelectLeaders.com is a specialized website that lists real estate related jobs in the United States. With over 150,000 real estate job postings and 8.5 million page views every year, this site is well respected as the industry leader for finding property manager jobs online. Given its highly targeted nature, this website is favored by major real estate firms especially when they need to hire highly experienced staff. If you are gunning for a mid to high level property management position, SelectLeaders will be your best bet. If you browse through the job openings on SelectLeaders, you will notice that at least half of the jobs available are for management and director positions. Naturally the salaries tagged to these jobs are also more attractive and you can expect to be offered at least $75,000 each year. Their job search feature is well developed and you can find jobs according to the location, job type, company and property type (residential, commercial, industrial or mixed). We also highly recommend the time-saving Job Alerts feature where SelectLeaders will email you whenever there is a job opening that matches your needs. While SelectLeaders does offer you top quality real estate jobs, it is still a niche website that is smaller in scale compared to the other property manger job search sites listed in this guide. Most of the job postings are limited to major cities in the U.S. so if you can't find a suitable job on SelectLeaders, then be sure to check out the other sites as well. Being one of the most popular and trafficked site in the world, Craigslist is probably familiar to most people. While Craigslist is a massive website with ad postings for almost everything, job classifieds remain one of its most important and prominent listings. What we really like about Craigslist is just how quick and easy it is to use. You won't need to sign up for a new account to find property manager jobs online or even to contact potential employers. 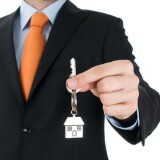 To find real estate property management jobs, all you have to do it to click on your country followed by the city. There is a local version of Craigslist for most countries plus they have a regional version for every major city in the United States, United Kingdom and Canada. Contacting potential employers is a highly straightforward affair since most companies will list their contact information such as telephone number, email address or website URL on the job listing itself. If there is no contact information, you can still email them using their Craigslist forwarding email. You can see this email address at the top of every post under "Reply to:" . The format of the email address is job-xxxxx-xxxxxxxxxx@craigslist.org. Sifting through the job section of Craigslist, we find that a good number job offerings are for part time, commission based or entry level jobs that require little or no experience. In fact, some employers will include free training as part of the deal. These jobs should appeal greatly to people who are new to property management.